This new release brings you the Command Line Data Pump & Favorites feature (Pro Edition) and a few important bugfixes. Version 5.5 brought you support for the latest versions of supported database systems, that includes PostgreSQL 11, InterBase 2017 and MySQL 8. 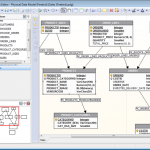 Database Workbench 5 comes in multiple editions with different pricing models, there’s always a version that suits you! 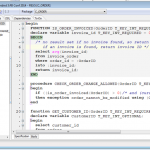 For more information, see What’s new in Database Workbench 5? Database Workbench supports MySQL, MariaDB, PostgreSQL, Firebird, Oracle, MS SQL Server, SQL Azure, SQL Anywhere, NexusDB and InterBase, comes in multiple editions and is licensed based on selectable modules. in your daily database work. It seems that the FirebirdSQL site got updated with information regarding the next Firebird International Conference. This time, the conference will be held in Berlin – October, 17-19. This year the Firebird Conference will be focused on Firebird 4 and will also include a series of workshops: extended presentations and practical exercises. We want to make it more educational, more practical, and less theoretical. MWA Software is pleased to announce that release 2.3.3 of IBX for Lazarus is now available for download from https://mwasoftware.co.uk/ibx. This release continues to track Lazarus 2.0 updates. Recent updates to the LCL TDBLookupComboBox have necessitated further changes to TIBLookupComboEditBox in order to ensure that TIBLookupComboEditBox continues to work when the DataSource is nil (i.e. with only a ListSource). 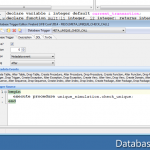 – Improvements to TIBCSVDataOut, TIBInsertStmtsOut and TIBBlockFormatOut. – TIBQuery and TIBDataSet now support the TDataset.Filter property for server side filtering of SQL result sets. – Minor bug fixes (see release notes for details). has been tested with the up-to-date fixed branch for Lazarus 2.0. Erlang Firebird client library : efirebirdsql 0.5.7 is released . We are released new update of our ADO.NET provider for OLE DB, which allows the work with Firebird and InterBase from .NET application through IBProvider. When connecting to the Firebird, InterBase and Yaffil databases, the «ISC:DatabaseDialect» and «ISC:ConnectionDialect» columns are available in the «DataSourceInformation» metadata schema. This information is taken from the information properties of IBProvider: «IB Database Dialect» and «IB Connection Dialect», respectively. The full list of columns in the DataSourceInformation schema is defined in the static class OleDbMetaDataCollectionColumnNames.DataSourceInformation. You may get our ADO.NET provider from IBProvider site and from NUGET site.